Our high-lumen headlamp takes the power of our TAC-12X Tactical Flashlight and makes it hands-free! Made with durable materials and built to IP68 waterproof standards, our headlamp is ideal for any situation in any weather. Unlike standard headlamps, this LED headlamp features digitally regulated output to ensure constant brightness. Thanks to the USA Made CREE XM-L2 LED lamp, you’ll experience unparalleled situational awareness in any conditions you find yourself in. Whether you’re a first responder, police officer, active military, or an outdoor enthusiast, you’ll love this headlamp. Headlamps have quickly become a must-have for anyone who likes to spend time outdoors or whose job requires them to work at night. At Bravo8, we always work our hardest to bring you the latest in tactical light technology and our HD-12X headlamp is the result of a lot of work. By bringing all of the power and world-class features to bear in a headlamp, we’ve created the ideal headlamp for hunters, fishers, police, firefighters, and anyone else who needs a lot of light. Lamp: Powered by the USA Made CREE XM-L2 LED - The Highest Performing, Commercially Available, Single Die LED Available. 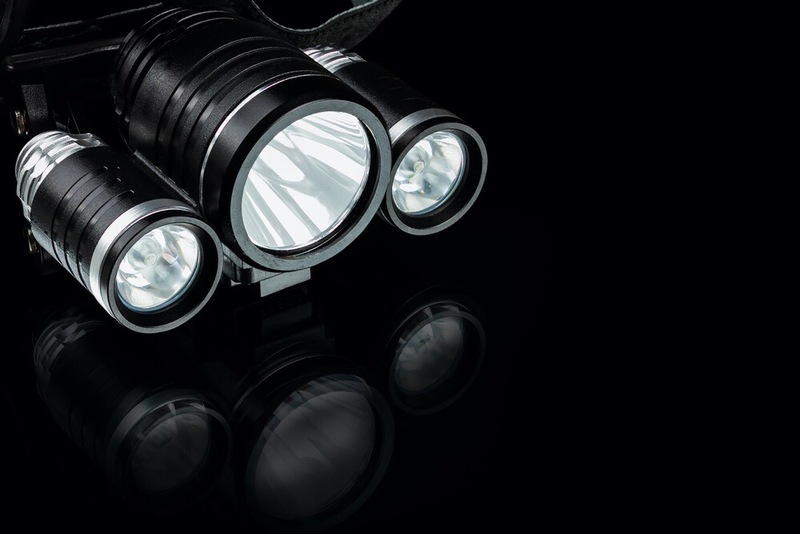 Delivering an Unprecedented 1,200 Lumens.